Dr. Gary Habermas is the author or co-author of over 30 books and 100 articles and reviews in journals and magazines. In the last 12 years he has given over 1500 lectures in about 100 universities, seminaries, and colleges. He holds a Ph.D. in History and Philosophy of religion from Michigan State University as well as an M.A. in Philosophical Theology from the University of Detroit. He currently acts as 'Distinguished Research Professor and Chair' in the Department of Philosophy and Theology at Liberty University, where he has taught for the past 26 years. His main areas of research include the philosophical study of miracles, near-death experiences, the historical Jesus, and the historicity of the resurrection of Jesus. Gary R. Habermas was born just outside Detroit, Michigan in 1950. Although he was raised in a Christian home and attended a German Baptist Church, he began having serious doubts about Christianity. For more than ten years, he faced uncertainty about key Christian claims and searched other religious and non-religious systems, especially naturalism. His studies centered chiefly on investigating various world views, occasionally getting close to what he thought might be the proper approach. This skeptical period of his life lasted for several years and during this time he would debate with both non-Christians and Christians, saying that their beliefs are not as grounded as they would like to believe. Habermas' interest in the field of apologetics began early in his search when he realized that some religions made claims that could be either verified or falsified. He searched the various religious systems to ascertain if such claims were verifiable. After several years of study, he concluded that very few religious claims could be substantiated. Habermas concluded that even Christianity suffered in this sense. While certainly having more evidential considerations than other religions, there always seemed to be a reason why the argument could not be finalized. While Habermas conducted detailed studies of creation, fulfilled prophecy, archaeological discoveries, and the general reliability of the Old and New Testaments, he constantly asked if there were any "clinching" arguments. During this time, one subject began to appeal to Habermas more than any other. He realized that if Jesus had been raised from the dead, this would go a long way toward arguing that Christianity was true. He also studied the founders of the major religious traditions, along with some lesser-known figures, to see if there were other claims that someone had been raised from the dead. He was especially interested in whether there was any historical or other evidence for any such teachings. Thirteen hundred note cards later, he was well on the way to a lifetime of being "hooked" on the subject of Jesus' resurrection. Habermas continued his search as an undergraduate student at Tyndale College, graduating in 1972 with three majors and three minors. Foremost on his mind was still the question of whether it could be known if there was any basis for answering his religious questions. Habermas went straight to graduate school at the University of Detroit. Studying philosophical theology and the world religions, he earned an M.A. a year later, in 1973. After taking a year off, he pursued a Ph.D. at Michigan State University, graduating two years later (1976), after keeping up a torrid study schedule. Studying relevant historical, philosophical, and religious questions, Habermas proposed an historical study of Jesus’ resurrection for his Ph.D. dissertation. The topic was approved by his committee, but he was told specifically that he could not use the New Testament as evidence, unless the individual passages could be affirmed by ordinary critical standards, apart from faith. During his doctoral study, Habermas developed what he now terms the Minimal Facts Approach to the resurrection. According to this method, the chief (if not the only) historical data that could be utilized were those that passed two critical tests: 1) each datum had to be multiply attested by normal critical means, preferably from more than one angle. 2) The vast majority of critical scholars had to concede the probability of this historical fact. In addition to the data itself, this meant conducting a long, arduous study of most of the critical publications on the subject of the resurrection, in order to ascertain the scholarly "lay of the land." Habermas concluded that the resurrection could be known according to probability as a normal historical fact. To this day, he marks the conclusion of his study as giving him the conviction that the resurrection had occurred in history and could be evidenced as such. His dissertation was accepted by his committee and he began to pursue a college teaching position. The Minimal Facts Approach is a method created by Gary Habermas to determine what well supported facts there are about the historical Jesus. It only uses historical data that is supported by multiple sources and that is accepted by the vast majority of critical scholars. This method can be used to present a well supported case for the resurrection of Jesus, thus giving an excellent base for belief in Christianity. 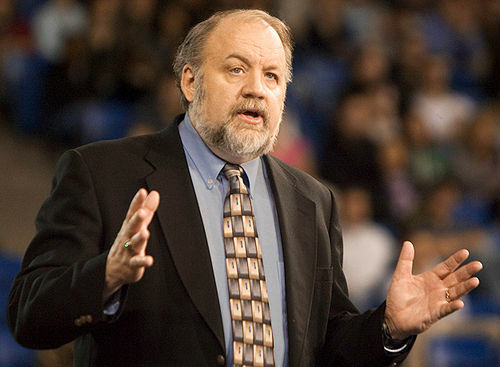 Gary Habermas is the author, co-author or editor of over 30 books and over 100 articles. This page was last modified on 17 July 2018, at 16:11.